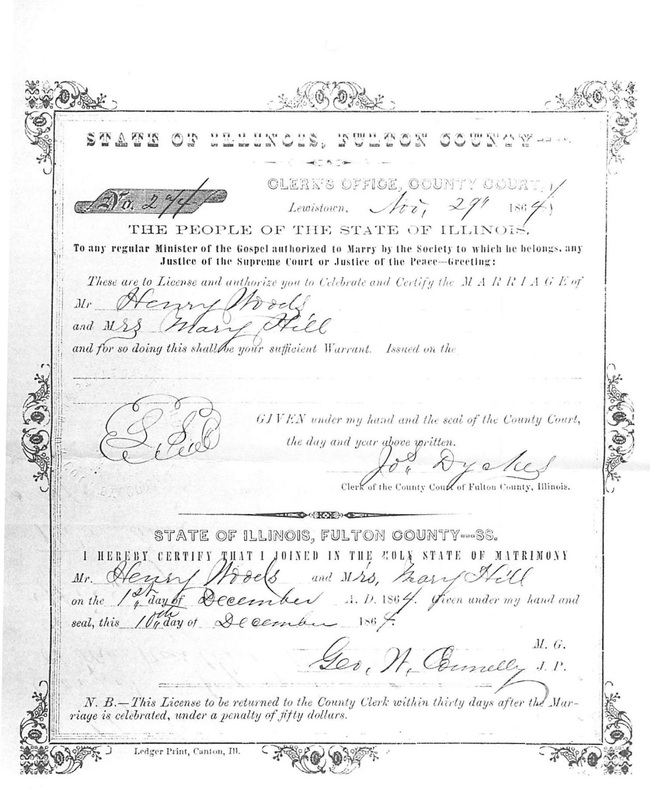 Last week I posted several documents from the Widow's Pension of Mary Hill Woods of Fulton County, Illinois. Her first husband, William Roland Hill died on 23 May 1863 on furlough at home after contracting tuberculosis in La Grange, Tennessee. He was serving in Company A of the 103rd Illinois Infantry. William Roland Hill served in Company A of the 103rd Illinois Infantry. This picture of his military marker was taken in July 1993 in Apple Cemetery, Fulton County, Illinois. August 1842 in Liverpool, Fulton County, Illinois. Their daughters were Flora, born 3 December 1860 and Laura, born 20 July 1863 after her father’s death. Mary Hedge Hill experienced more than her fair share of tragedy as a child and during her first marriage. Mary's parents were Joseph Hedge and Hannah Martin. It is presumed that her mother died before 1850 judging by the fact that she was not enumerated with her husband and children in the 1850 census. Mary appears to have been the youngest surviving child of Joseph Hedge and Hannah Martin. Hannah died between 1842 and 1850. A few years later Mary's father died on 14 June 1853. Mary's uncle, Eder Hedge was appointed guardian of the minor heirs of Joseph Hedge (Eder Hedge, Richard Hedge & Mary Hedge). According to the probate file, Mary's siblings, Lousia Hedge, Eda Hedge & Stephen Hedge were "of age" by February 1857. Since Mary was only 15 years old in 1857 she had to get permission from her uncle and guardian, Eder Hedge to marry the English immigrant coal miner, William Hill on 22 October 1857. 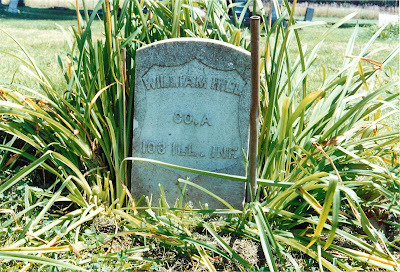 Her first child, George Hill was born in August 1858. George was the first member of the Hill family to be buried at Mt. 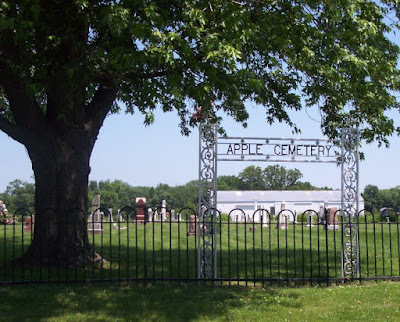 Pleasant Cemetery also known as Apple Cemetery. 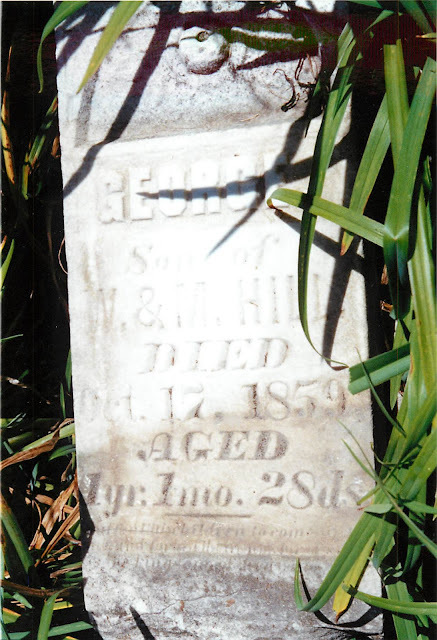 The inscription on his grave marker reads: GEORGE, Son of W. & M. HILL, DIED, Oct. 17, 1859, AGED 1 yr. 1 mo. 28 ds. Also buried in the Mt. Pleasant/Apple Cemetery are all three of Mary's brothers, Stephen, Eder and Richard Hedge. All three men served in the Civil War but only Stephen survived. Richard died March 1, 1862 on furlough in Fulton County and Eder died March 30, 1863 in Jackson, Tennessee. Stephen was debilitated by dysentery contracted while in the service. 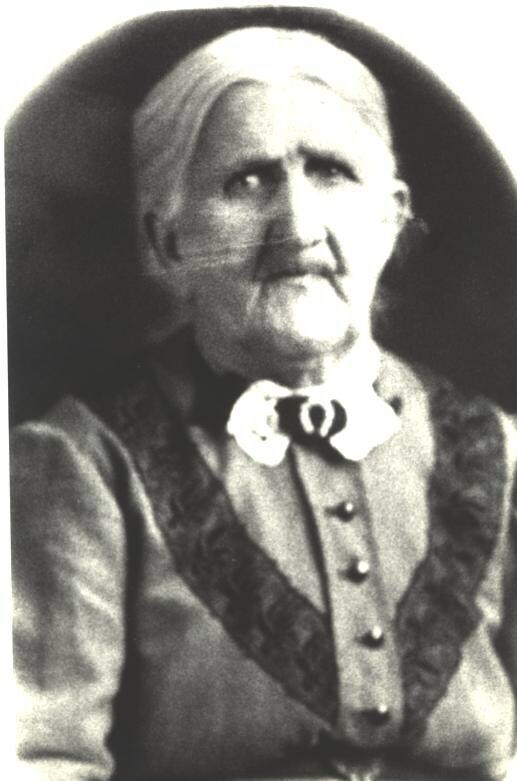 Mary's sister Edey Hedge, wife of John G. Kaler died on 31 Jan 1864 in Lewistown, Fulton County, Illinois. Before the end of the Civil War, Mary Hedge Hill had lost both of her parents, a son, two brothers, her husband and her sister. Mary Hedge Hill married for the second time at the age of 22 on 1 December 1864 in Lewistown, Fulton County, Illinois to Henry Woods 1832-1909. Mary Woods died in Fulton County, Illinois on 13 December 1924. Her residence at the time of death was Washington, Washington County, Iowa. Presumably she was visiting family. 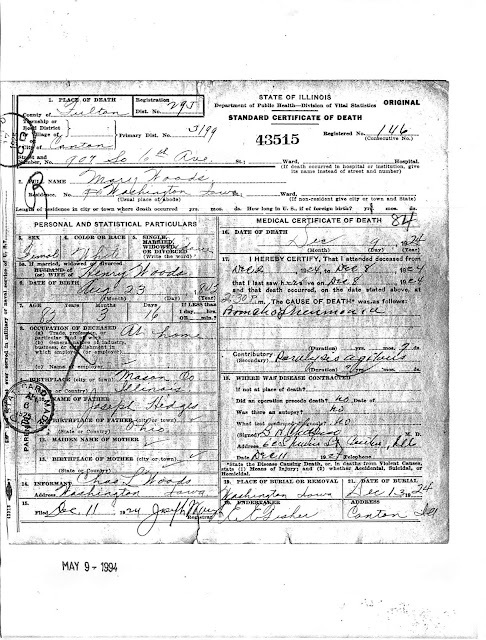 Her death certificate gives the address where she died as 907 South 6th Avenue in Canton, Fulton County, Illinois. Mary Hedge Hill Woods was a survivor. She lived a relatively long life of 82 years. She had more than her fair share of grieving but she also led a very full life and has hundreds of descendants that celebrate her perseverance.